For other uses, see Acharya (disambiguation). In Indian religions and society, an acharya (IAST: ācārya) is a preceptor or instructor in religious matters; founder, or leader of a sect; or a highly learned person or a title affixed to the names of learned people. The designation has different meanings in Hinduism, Buddhism and secular contexts. 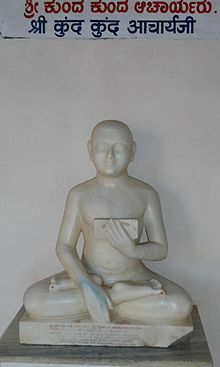 The term "acharya" is most often said to include the root "char" or "charya" (conduct). Thus it literally connotes "one who teaches by conduct (example)", i.e. an exemplar. ^ Ram Nath Sharma; Rajendra Kumar Sharma (1996). History of Education in India. Atlantic. p. 35. ^ "Ani Pema Chödrön". Gampo Abbey. Archived from the original on 24 March 2013. Retrieved 2014-10-21. ^ "Nandan Mishra vs University Of Delhi & Ors on 12 May, 2015". indiankanoon.org. Retrieved 2017-09-18.